A good 19th century example of this popular optical toy. 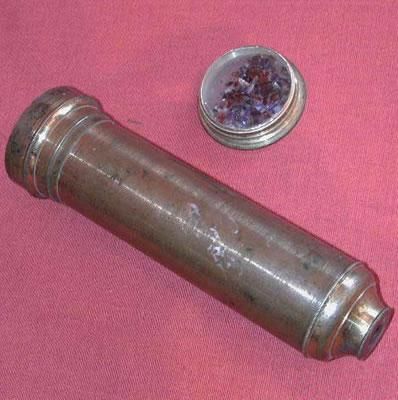 The kaleidoscope is of lacquered brass with the cell containing coloured glass pieces. The optics are excellent.